The allegations against Banky W and the EME crew over the cancellation of the EME concerts in Canada and California have now been proven false. Promoters of the EME North American tour, Royal entertainment, have issued a statement on their company Facebook page last night apologizing publicly to Banky W and the EME crew. They stated that Banky W and the EME crew should not be held responsible for the cancellation of the shows as reasons for canceling are genuine and unavoidable. 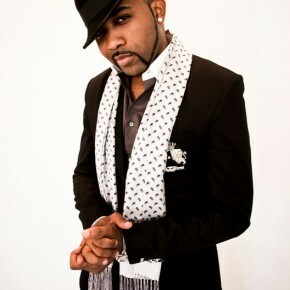 Chairman and Creative Director of EME, Banky W posted on his official twitter handle on Tuesday, August 14, 2012 an apology note to fans on the cancellation of the Canada and California shows and promised that EME will make the remaining EME concerts memorable for their fans. Royal Entertainment also stated in the press statement that they were fully informed about the cancellation and both parties agreed to release a public statement apologizing to fans on the issue but instead, Royal Entertainment and its partners took over social and online media making false allegations against Banky W and the EME crew. “Further research has brought many things to light, and it’s time to make the situation clear. It is in the interest of everyone to put all of this behind us.” Eche says. Royal Entertainment also made clear that there were no booking fees or deposit of any sort paid to EME for the California show and EME has also agreed to refund to Royal Entertainment the money Royal Entertainment spent on promoting the show. Fans who bought tickets in advance will also get a full refund through the various channels of purchase. When asked about his reaction to Royal Entertainment’s public retraction and apology, Banky W said "We have accepted the apology. It’s time to move on."